North of The River Real Estate Let The Gray Group help you find the perfect north of the river home. It’s easy to see why so many of our clients choose to live north of the Black Warrior River. It’s tough to beat the location. North of the river homes are just a short car ride away from downtown, campus, and dining and shopping hot spots. The area boasts two of Tuscaloosa’s most popular school zones, Rock Quarry and Verner. Homes located on beautiful Lake Tuscaloosa also draw home buyers to the area. Both Indian Hills Country Club and NorthRiver Yacht Club are found here. When it comes to price, 35406 homes for sale can range from $150,000 upwards. The average price for homes sold north of the river in 2018 was $401,048. The average price per square foot for the area is $135.20 . 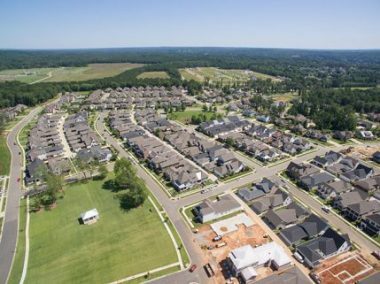 The north of the river area is home to many desirable neighborhoods including The Townes of North River, Academy Drive, Riverchase, Lexington Downs, and NorthRiver Yacht Club. Those looking to build a home, may be interested in the areas newest developments Highgrove and Waterfall. Whether you are buying or selling a north of the river house, or searching for the perfect lot or acreage to build your dream home, our team is here to help.